Last week I received a surprise visit from my mom. (Yes, our moms are always like that!) I decided to treat her to a nice place in town where we can chill and enjoy delectable and exotic foods. 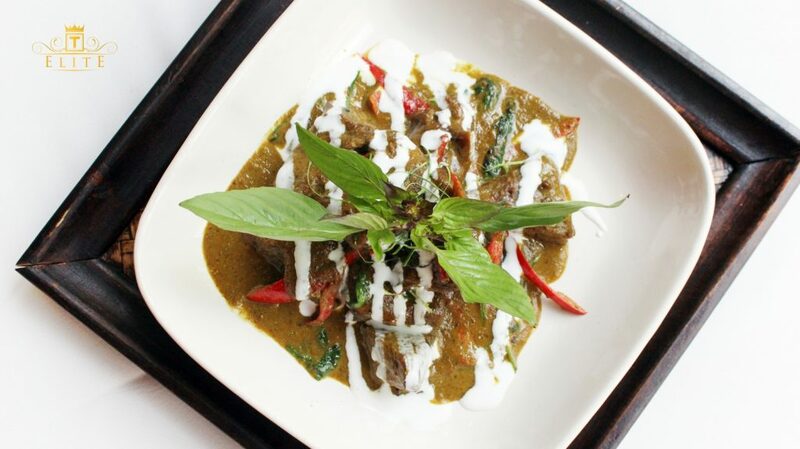 Thai food was our choice this time as the mixture of Thai spices and herbs would make us feel reinvigorated. My mom finally agreed to go for the 2017 TripAdvisor Traveler’s Choice Award – Tamarind Hill Kuala Lumpur at Jalan Sultan Ismail. Tamarind Hill’s tranquil ambience exudes the illusion of being ‘out-of-town’. Scrumptious authentic Thai food with great tranquil ambience, the restaurant is truly a place to be “out-of-town” right in the hustle and bustle of Kuala Lumpur. Of course I took advantage of my ELITE Membership which enables me to redeem free signature dishes here! Saving more money while treating my Mom to exquisite delights, why not? 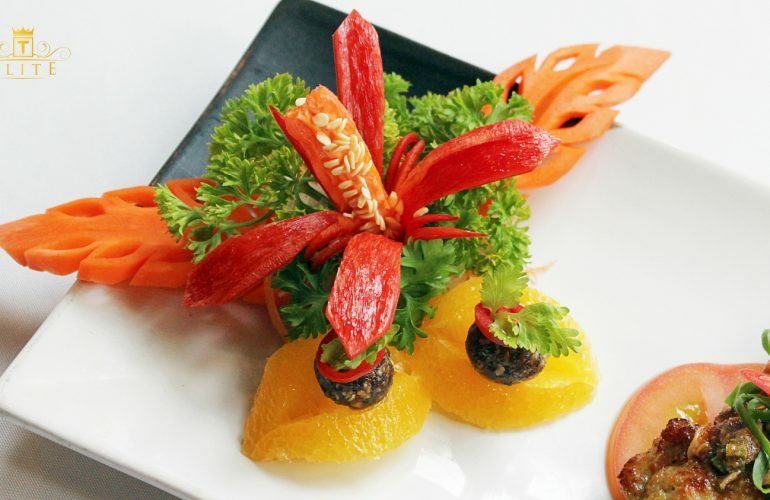 Tamarind Hill Platter includes 4 eye-catching bite-sized kinds of appetizer. 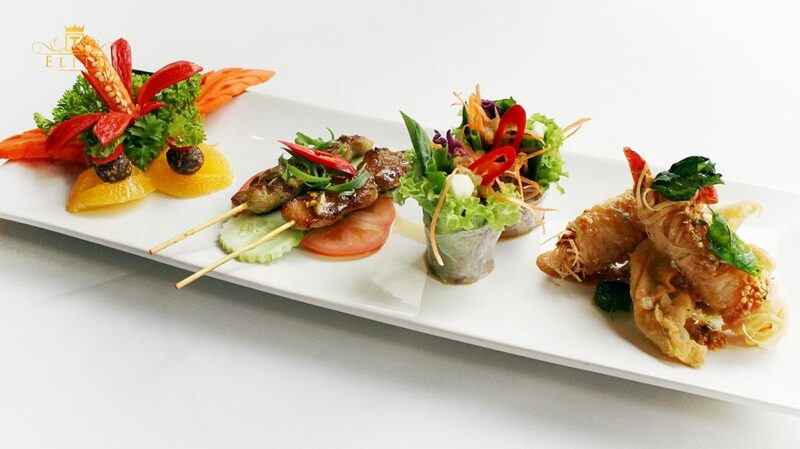 Our first dish was a beautiful platter of 4 enticing kinds of appetizer including fried tiger prawns and kangkung, fresh spring rolls, grilled satay and last but not least, chicken balls and orange. The dish immediately captured my attention with its vibrant colors and an irresistible smell. I couldn’t wait anymore to savour the first piece – the fried tiger prawn and kangkung! 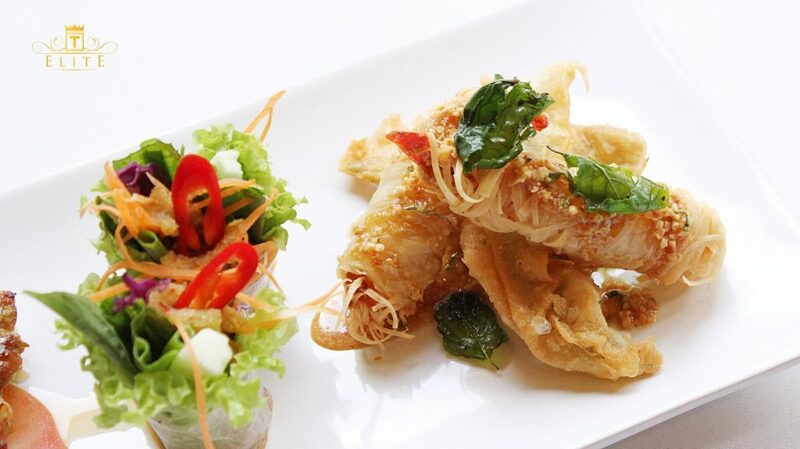 The crunchy fried tiger prawns and the refreshing spring rolls made me yearn for more. The incredibly crunchy popiah skin was coated with a combination of Thai peanut sauce and plum sauce which resulted in a delicately sweet and sour taste. It was mind-blowing to know that the restaurant carefully handpicked small and fresh peanuts to get the best taste of the Thai peanut sauce. The prawn was a true star with its moist and firm flesh. It brought a clean, brisk and sweet flavor which then lingered in my mouth. Tasty! Next came the fresh spring rolls which impressed me with its luscious and non-overpowering spiciness. With a perfect combination of herbs, chili and homemade Thai seafood sauce, the rolls made us feel rejuvenated. The vegetables were absolutely fresh, the herbs were aromatic and the unique spicy and sour taste made me yearn for more! 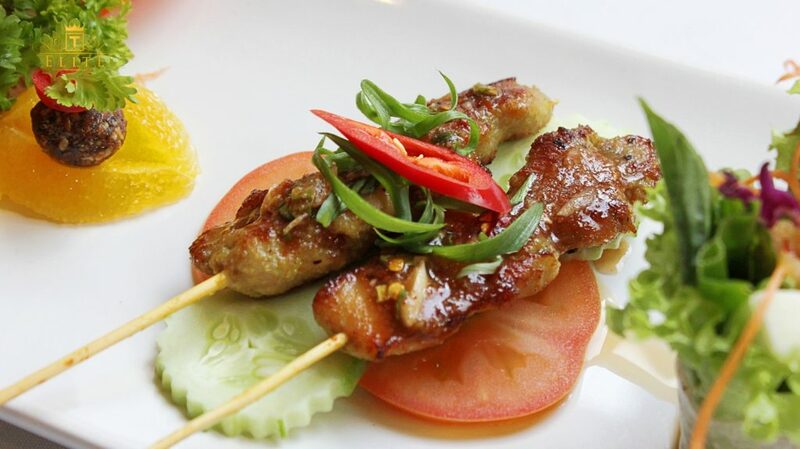 The grilled satay with authentic Thai tamarind sauce was tender and flavoursome. After savoring the other enthralling delights, I knew this satay would be something special! The grilled chicken was impeccably soft and the tamarind sauce really won my heart! I could still vividly remember its flavorsome and sweet taste which I believe could only come from the authentic Thai sauce! A bit of chili flake and pepper was added to bring a hot and strong flavor to the satay which will be balanced out by the piece of cucumber that came along. I would say it was one of the best satays I had ever tried. The chicken-peanut ball was like a candy, exuding a delicately sweet taste in my mouth. Last came a jaw-dropping delight! At the first glimpse, the decoration was impressively eye-catching as it was akin to a phoenix for me. I took one piece of the chicken-peanut ball with orange and “wow” was the word came out of my mouth! There was a touch of acidity from the orange which blended beautifully with the delicately sweetness of the chicken mixed with peanuts. The chicken ball was similar to a piece of candy which quickly melt in your mouth. It was incredibly fresh and it made me close my eyes in mere satisfaction! The “Beef Ribs served in a Dry Green Curry” appeared in an unpretentious presentation but its taste totally blew my mind. Here comes my favorite dish of the day! Appeared in such an unpretentious presentation, it totally blew my mind. The dish emanated a hint of sweetness from the coconut milk and a bit of freshness from the Thai basil. You might look at it and say: “Well, just beef and green curry, what’s special about it anyway?” and that was my first thought! Right afterwards, I knew I was wrong. The beef was lip-smackingly tender and truly what you would call melt-in-the-mouth! Every shred of the meat relished a succulent taste. I couldn’t keep myself from excitement in every bite. As the coconut milk was made freshly, its taste was unique and flavorful. 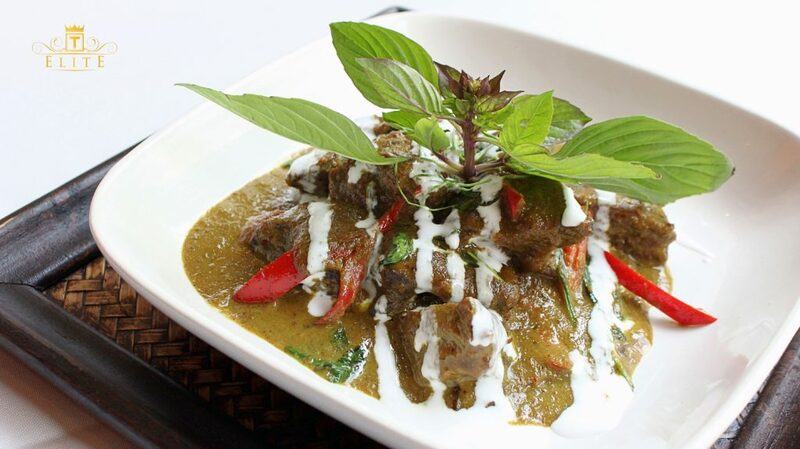 A lingering sweetness and freshness coming from the herbs blended in the green curry. This lusciously green curry would stun you for its taste that’s rich in both flavor and nutrients. A real winner in the taste and totally worth the money spent! The River Lobster and tamarind were freshly imported from Thailand which made the dish even more delectable. Finally, we ended with an equally palatable dish of Deep-Fried River Lobster. I love the fact that the lobster along with the tamarind were imported from Thailand. Frozen lobster would end up becoming tough and rubbery so a fresh lobster would be a perfect choice. Thai tamarind is something I am always in love with as its pleasant smell and sweet taste stand out compared to other tamarind sauce. The dish presentation was striking and I was so eager to have my first piece. The lobster’s fresh and bouncy flesh truly laces the palate with a umami and savoury flavor. 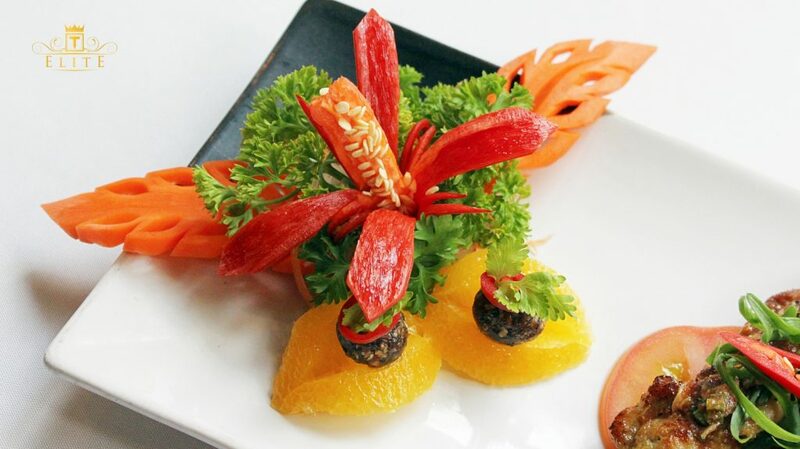 The ‘meat-ilicious’ river lobster paired perfectly and drenched with the delectable tamarind sauce. A highly addictive and flavorful indulgence. It’s definitely a desirable dish. 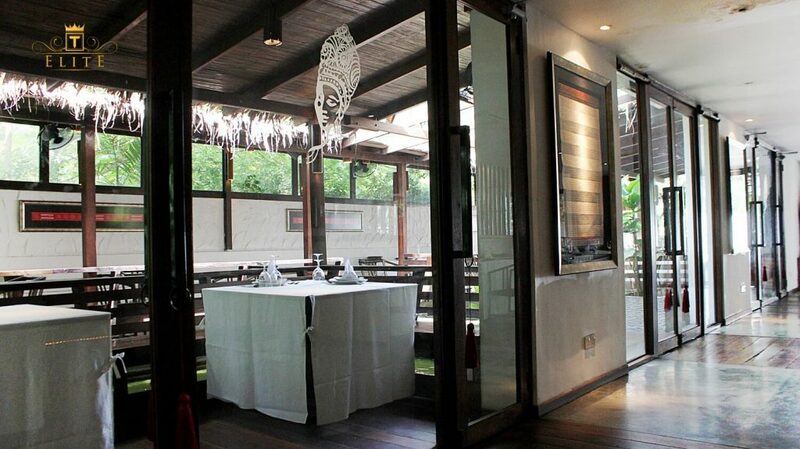 If you love to give Tamarind Hill Kuala Lumpur a try, you can make a booking for the restaurant here. And well, someone might wonder how I redeem the signature dish for free and I won’t keep it my own secret. If you want to know more, you can read more about the ELITE Membership here. It was such a hectic week for my colleagues and I that we couldn’t even recognize ourselves in the mirror! “It’s time to refresh ourselves!”, we all agreed. It didn’t take us long to figure out the best restaurant for us this time – Neo Tamarind at Jalan Sultan Ismail. Located in the heart of Kuala Lumpur yet hidden by green foliage, the tranquil ambiance here helps chasing our stress away to a true peaceful state of mind. The restaurant’s menu is innovative with Asian flavors using European techniques. Its galactic bar, electro-chill music and hypnotic liquid walls brought us the ‘NEO-rotic’ vibe that we were longing for. 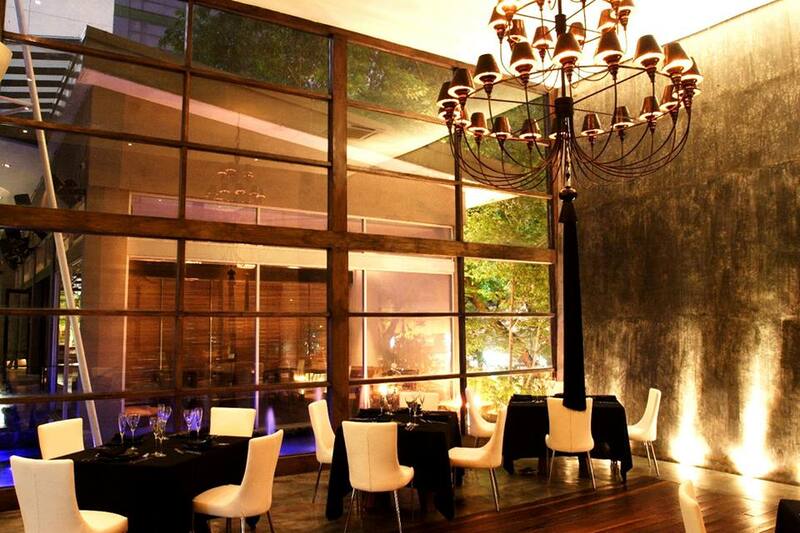 Neo Tamarind, a ‘neo-rotic’ dining destination where you can chill and unwind at night. Of course, we were so glad to have our ELITE Membership as we could use it to redeem one of the 3 free signature dishes here this time. 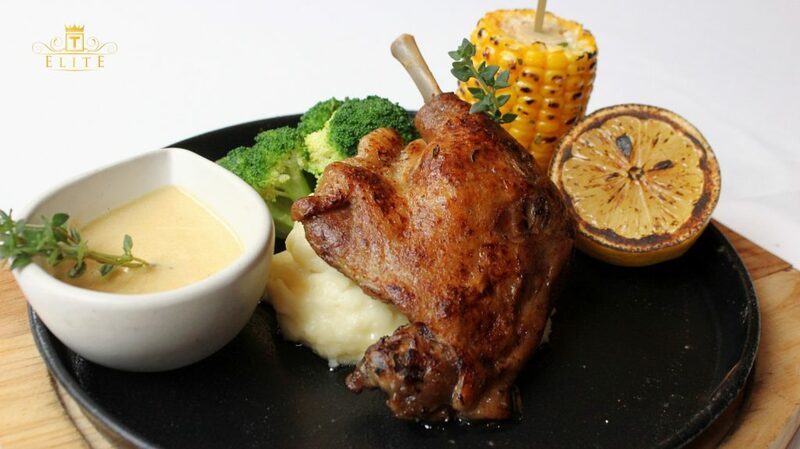 The Duck Confit was presented nicely with mustard sauce, bite-sized broccoli, charred lemon and grilled corn. 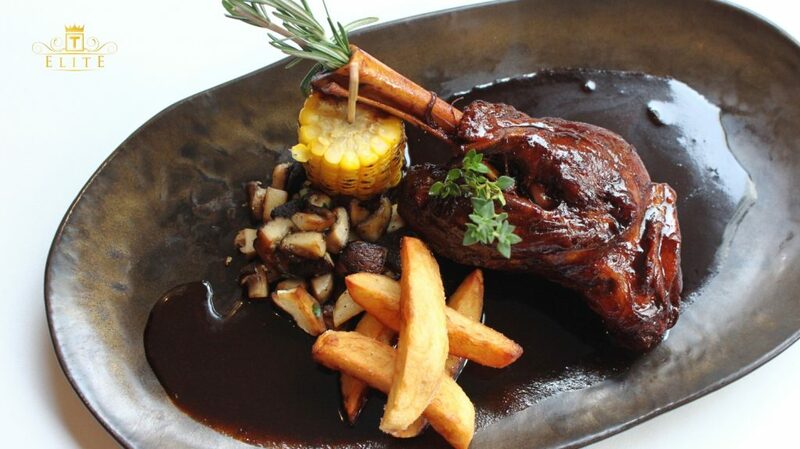 Our first choice was a scrumptious dish of Duck Confit as I’m an advocate of this traditional and hearty French dish. Duck Confit (pronounced as Kon – Fee) is simply a technique of using salt to cure the duck and gently cooked it in its own fat. As disclosed by the chef, the duck here was brined with Himalayan rock salt for 24 hours which was mind-blowing! 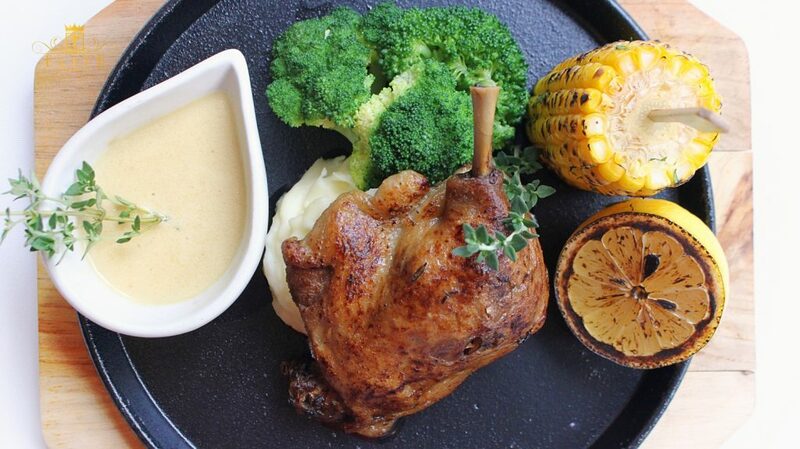 Presented nicely, the dish fed our hungry eyes with its vibrant colors – the golden brown color of duck confit blended well with the fresh green broccoli in bite-sized pieces and the mesmerizingly burnt color from the grilled lemon and sweet corn. The charred lemon was a brilliant choice as it will robust the lemon’s acidity and enhance its sweetness. The duck’s skin was crispy while its meat was meltingly tender as our fork can go through every shred of it! After squeezing a bit of the charred lemon of top of the duck, we carefully sliced through the duck and were delightful to hear a crack – its skin was incredibly crispy! In contrast with the skin, the duck’s meat was meltingly tender as our fork can go through every shred of it! I tasted the creamy mustard sauce which was set aside, its creaminess and mellow flavor were to dream for. I personally think it’s an excellent combination of the duck and the mustard sauce as your nostrils will gently flare while your taste buds are pampered with the melt-in-the-mouth piece of duck. The mustard’s slight saltiness went ideally well with the juicy duck meat and totally enhanced its flavor. On the other hand, a big hand to the chef for the creamy mashed potato too. You should also taste the crunchy broccoli and the sweet corn which were also cooked to perfection. A big chunk of lamb shank was put nicely alongside truffle-infused mushrooms and beautiful wedges of fried potatoes. The Braised Lamb Shank was another dish that won my heart right at the first sight by its tangy smell and elegant look. A big chunk of lamb shank was put nicely alongside truffle-infused mushrooms and beautiful wedges of fried potatoes. Underneath the lamb shank was a bed of thick red wine and lamb jus, which was cooked for 3 days – this fact made my eyes open widely! To be honest, I am quite doubtful whenever it comes to lamb shank. As simple as it seems, a lamb shank can be a tough challenge and it requires skillful hands to bring the texture and taste to perfection. 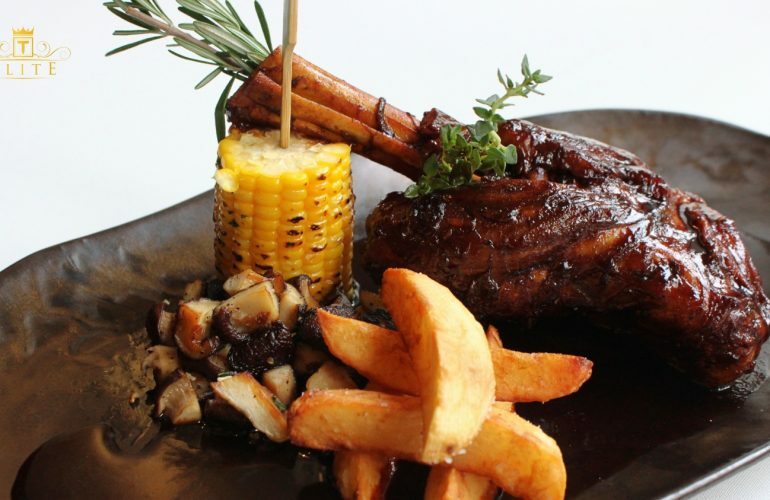 The braised lamb shank was spectacularly tender and its mild sweetness was pleasant. So how was the lamb shank here? Of course Neo Tamarind did not let us down at all! It was a molten goodness – glistening, rich and full of flavor. The lamb was spectacularly tender and its mild sweetness was pleasant. After being slowly cooked, the lamb’s collagen turned into rich gelatin which made it amazingly nutritious! When mixing with the sauce, it became even more succulent. 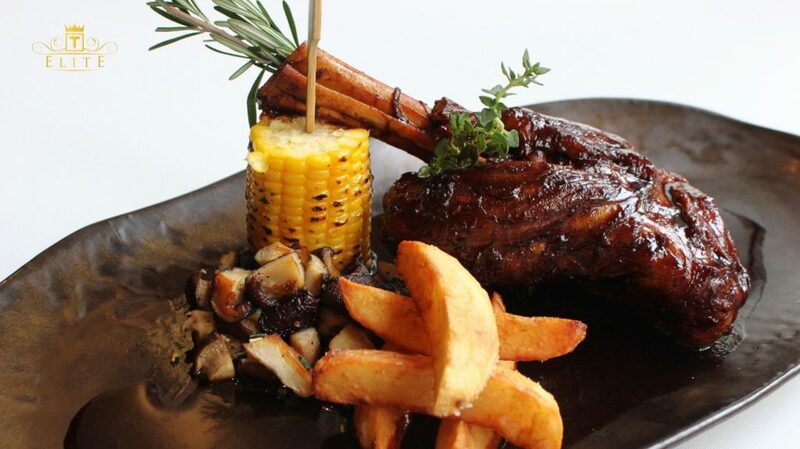 The sauce’s rich aroma with its non-overpowering taste was a perfect complement to the tender lamb shank. I personally love the fried potatoes as it was crisply good outside yet so soft and tasty inside while my friend loves the truffle-infused mushroom for its interesting earthy taste. The Lobster Ravioli came off with such a pleasant and alluring smell that we could wait no more to savour this artistic beauty. 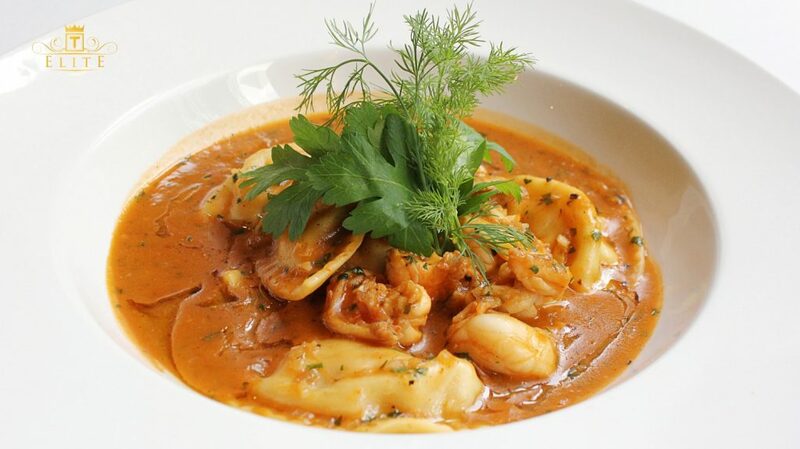 Our last dish was a heart-warming lobster ravioli. The dish came off with such a pleasant and alluring smell that we could wait no more to savour this artistic beauty. 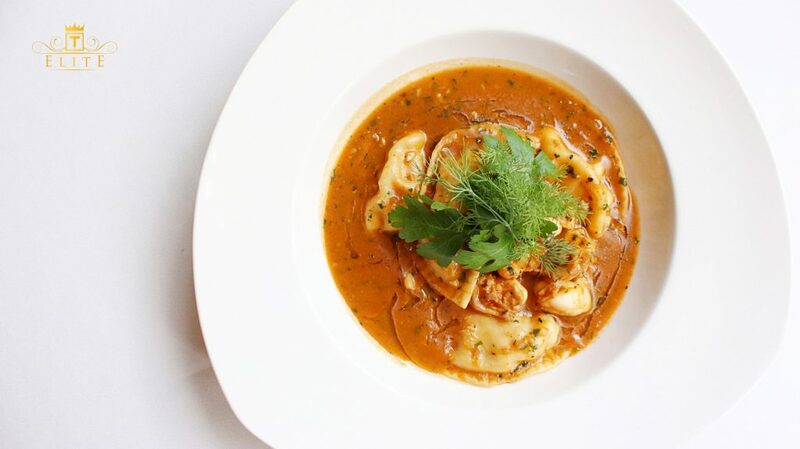 Simply garnished with some herbs on top, the ravioli was set beautifully with pieces of lobsters in an eye-catching stock – a light and vibrant dish. We were all fascinated to find out the raviolis were handmade daily and the lobster was freshly imported from Thailand. What’s more? The lobster head was cooked with some Brandy to make the stock! It was not only impressive but also made the lobster ravioli a true delight as there was so much effort needed to make such a dish. I was overwhelmed as the sweet stock burst out in my mouth when I took a bite into a piece of ravioli. I grabbed the first piece of lobster as it was too tempting. To my expectation, the lobster was beautifully cooked! It still maintained the spongy texture but not too chewy or flaky. A briny taste accompanied with the natural sweetness from the lobster made it so satisfying. The stock was moderately seasoned and carried subtle sweetness. I was overwhelmed as the sweet stock burst out in my mouth when I took a bite into a piece of ravioli. It was an interesting moment and the dish was, in overall, irresistible! If you would love to view more dishes and enjoy a good time chilling at this ‘neo-rotic’ dining destination, feel free to click here to book a table. Of course, you can choose to save your money by using ELITE Membership when dining here as only ELITE members will get free dishes. For more information, find out here. Take your dining experience to the highest level, literally. 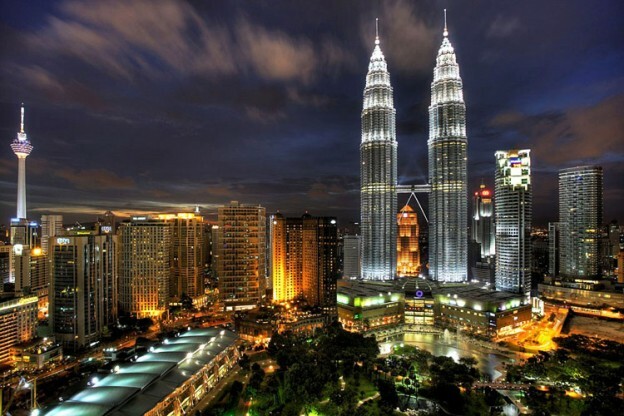 Kuala Lumpur, the capital city of Malaysia, is always a vibrant city with dazzling lights and amazing sunrise and sunset. Take in the breathtaking view of Kuala Lumpur city from a whole new height while dining high above the ground. 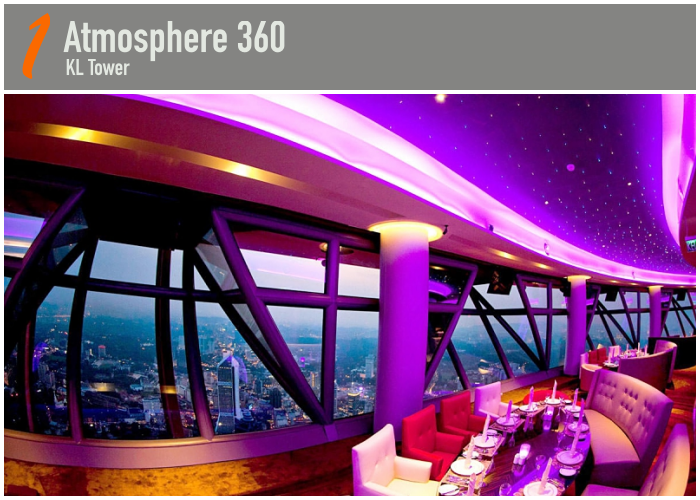 Atmosphere 360 is a modern and elegant revolving restaurant situated 282m above ground level. Housed in the 7th tallest freestanding tower in the world – the KL Tower, it offers luxurious fine dining experience of modern authentic Malaysian and International cuisine that will leave a lasting memory for the diners. Looking a lot like a spaceship with colourful neon lights and starry fibre optic ceiling lights, the intimate table arrangements and romantic, sky-high views make it a popular place for date nights. 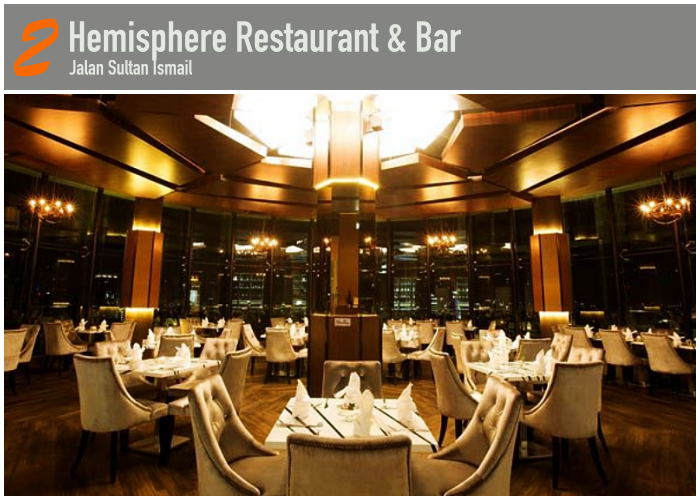 Nestled on the 37th floor of Regalia Residence, Hemisphere Restaurant & Bar presents diners spectacular views of Kuala Lumpur, and unblocked view of both the KLCC Twin Towers and KL Tower. Overlooking the iconic Twin Towers and KL Tower, Hemisphere vows to deliver excellent service to diners, from ensuring the freshness of ingredients (without MSG too!) to providing extensive food and beverage menu as well as creating top quality dining environment. 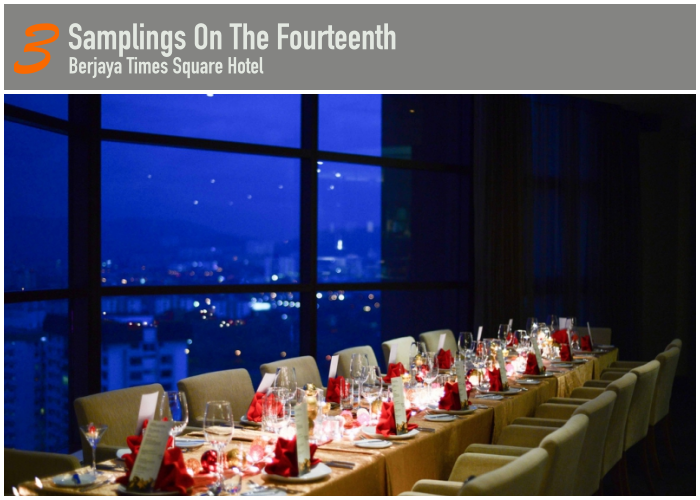 An enchanting 14th-floor view of Kuala Lumpur’s skyline, the award-winning Samplings On The Fourteenth offers an Western classic premium dining. Experience exquisite fine dining cuisine paired with tasteful vintage wines to suit diners’ discerning palate. The layout boasts a spectacular bird’s-eye view of downtown Kuala Lumpur, framed by massive floor to ceiling windows. It also features an open kitchen concept where diners get a crystal-clear view through the glass-walled, semi-circular kitchen, of the chefs preparing dishes. 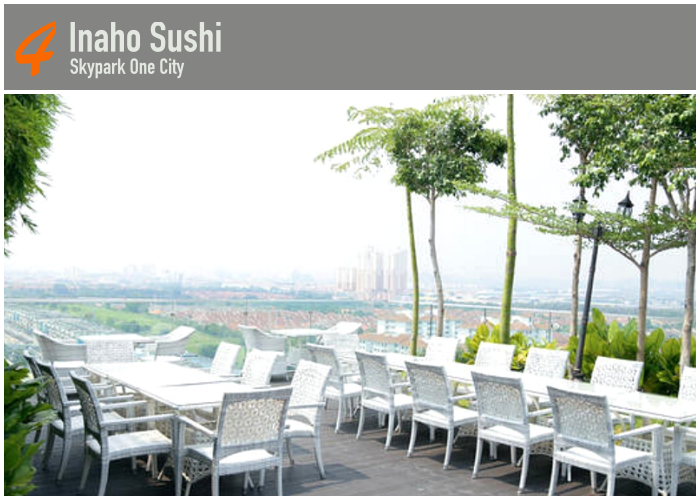 At the 10th-floor Skypark rooftop of Subang's One City sits Inaho Sushi, a Japanese restaurant overlooking a suburban landscape. A mental note to make: Inaho Sushi's outdoor tables are limited, so advance reservations are highly recommended if you wish to enjoy the scenic view. 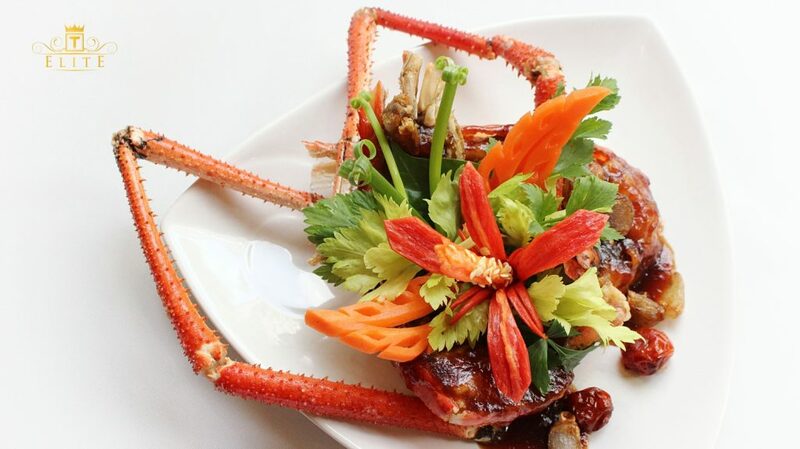 The restaurant has a spacious air-conditioned interior as well to accommodate more customers. Diners can also stroll around the rest of the rooftop to enjoy the breeze and view. Located on the roof of the iconic The Signature Serviced Suites & Studios, Proof Cafe serves an effortless breakfast with an European charm, scrumptious cakes, and Executive Lunch sets that will make your boss envious. 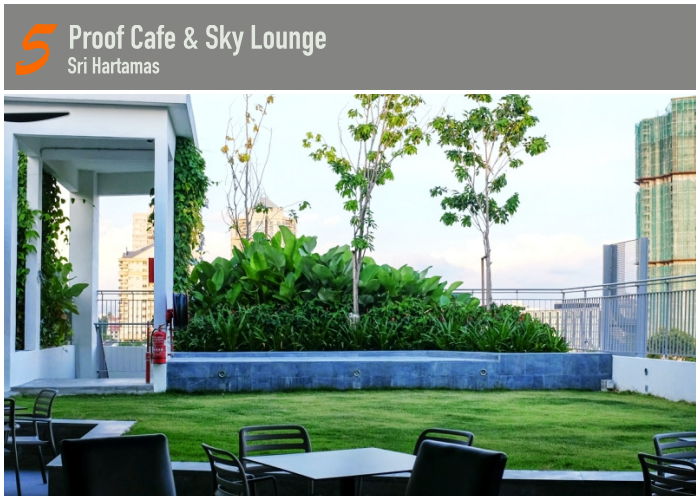 The serenity at Proof Cafe complements with its smoothing view of the surroundings of Sri Hartamas and Mont Kiara. The people of Proof have nurtured friendships with Melbourne-based chefs & coffee specialists to help them reach for fresh heights. Definitely a hidden gem in the city.